Nanoparticles are up to 100 nanometres (nm) large - or better: small. One million nm make up one single millimetre. At this extremely small size, particles obtain many new exciting properties: Using nanoparticles, sunscreen lotions become ‘invisible’, car varnishing - scratch resistant, glass - dirt repellent, construction materials - stronger and lighter at the same time, and car tyres - wear resistant – to name only a few. Nanotechnology is the industry sector making use of nanoparticles and nanomaterials. Due to the new exciting properties of nanomaterials, more and more nanotechnology-enabled products are becoming available every year. Clearly, nanomaterials and nanotechnology-enabled products have to be safe. It is imperative that they may not harm humans or the environment. Traditionally, the hazard of substances is being tested in animals. However, animal testing is undesirable for ethical reasons. Further, the number of nanomaterials and the multitude of different applications would require vast numbers of tests. 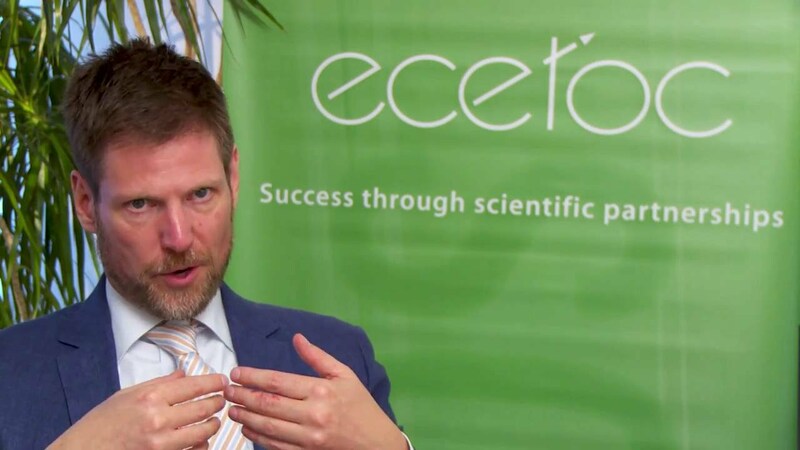 This was the incentive of the ECETOC Task Force on Nanomaterials (ECETOC Nano TF): To make sure that our society may benefit from safe nanotechnology-enabled products and to make sure that animal testing is restricted to an absolute minimum. In the ECETOC Nano TF, experts from the ECETOC members joined forces to successfully meet this tremendous task. The experts identified the so-called ‘grouping’ of substances as the tool to ensure that nanomaterials are safe and that testing is efficient and avoids the use of animals: Science-based grouping allows the prediction of a substance’s toxicity by comparing it to similar substances. However, the properties of nanomaterials and their interactions with biological systems may be very complex. Therefore, a comprehensive grouping concept for nanomaterials has not yet been available. To help close this gap for hazard assessment, the ECETOC Nano TF developed a Decision-making framework for the grouping and testing of nanomaterials (DF4nanoGrouping) that also took into account relevant output from earlier ECETOC workshops and activities. In three tiers, DF4nanoGrouping takes into consideration all relevant properties of nanomaterials. Step-by-step, potential hazards are ruled out. Hazardous nanomaterials are identified using non-animal tests, such as cell culture methods. Animal tests are only performed if hazards cannot be ruled out in the non-animal tests. Also then, special animal tests are selected that use fewer animals and are less distressful than the traditional tests. Case studies confirmed the usefulness of DF4nanoGrouping. All materials that may be hazardous in animals or humans were recognized in the non-animal tiers of the DF4nanoGrouping. Consequently, DF4nanoGrouping provides a sound scientific basis for hazard assessment. The ECETOC Nano TF has published the outcome of its work in three widely respected articles that were printed in a renowned international journal (see Related Publications below). Further, its members are dedicated to establishing the DF4nanoGrouping in the scientific community, for instance by presenting it at numerous scientific congresses and workshops.